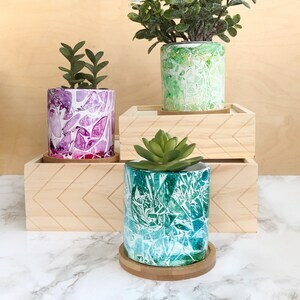 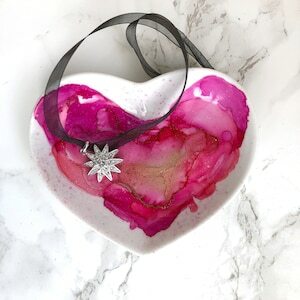 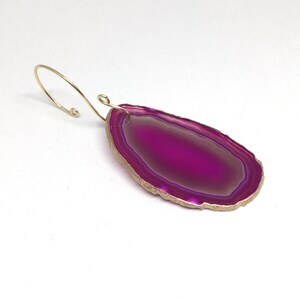 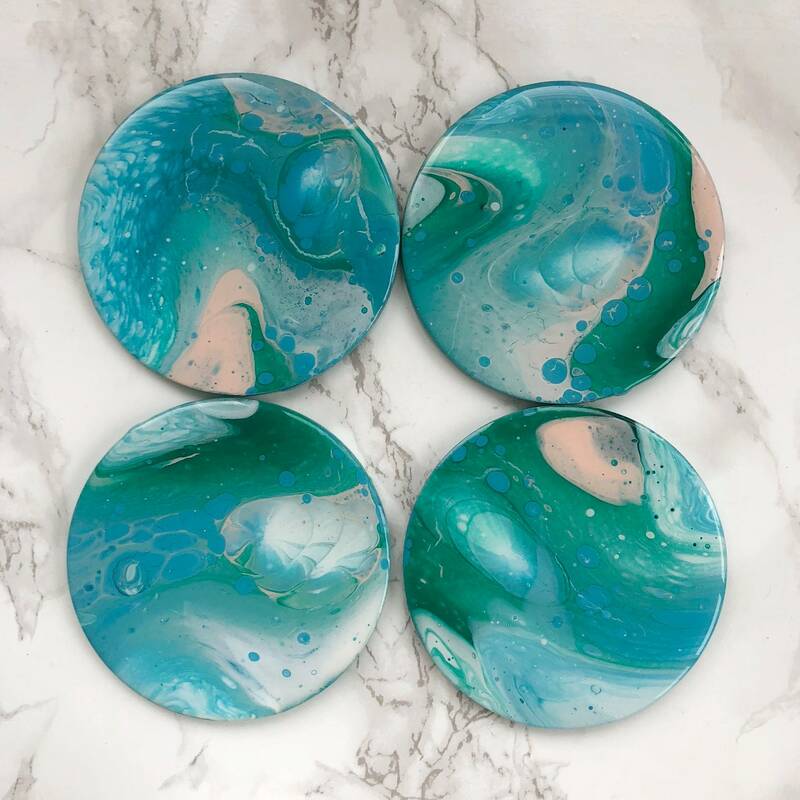 Make a statement with these hand marbled coasters! 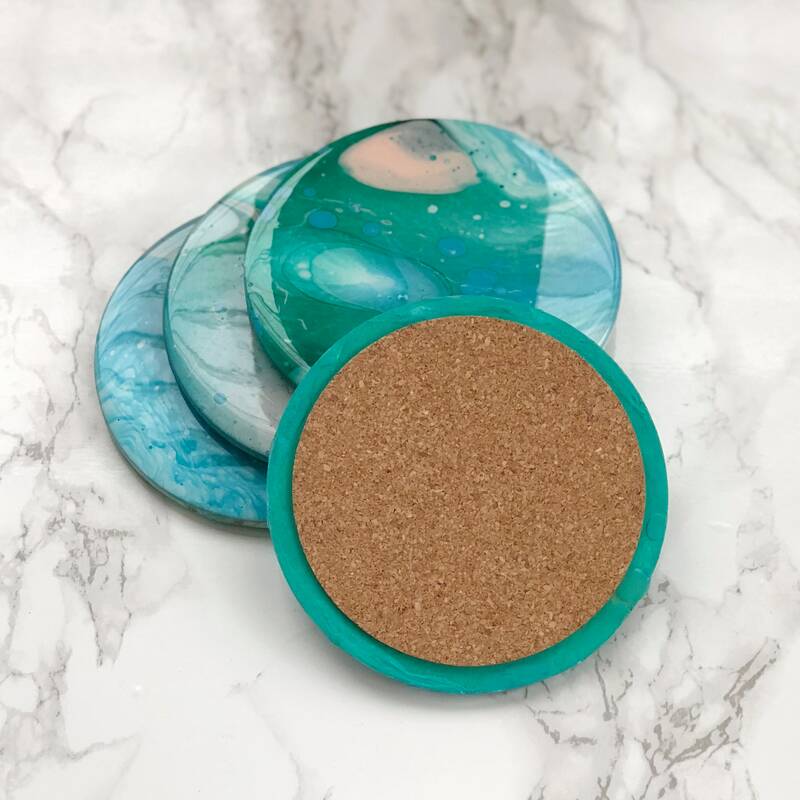 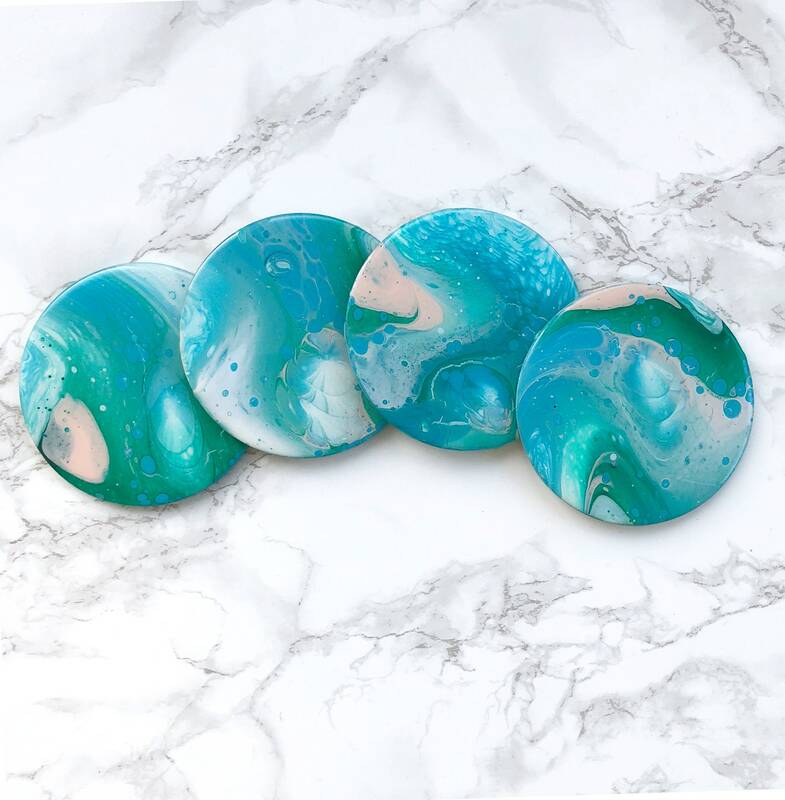 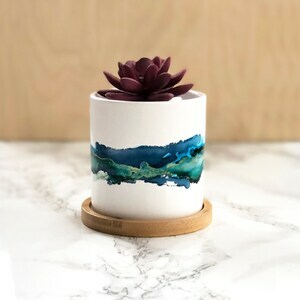 Vibrant teals and blues swirl with coral and white, hand-marbled onto 4" round wood coasters, and finished with a glossy coat of countertop-grade foodsafe resin. 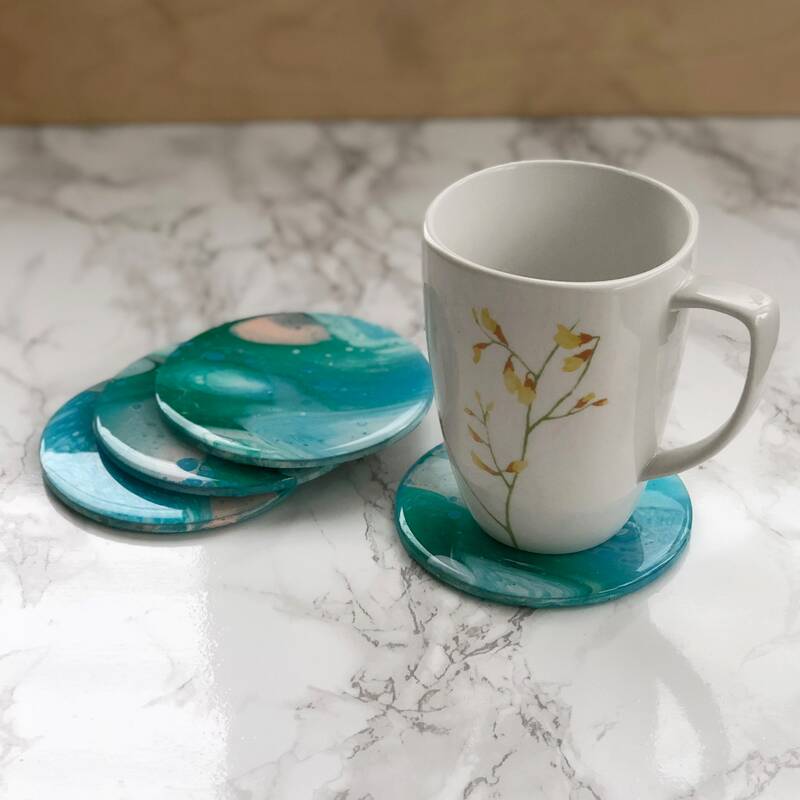 The coasters are finished with a cork base to protect the table surface they sit on.